This journal quilt is my favorite from the year. in 2011, we flew to visit my sister in Denver for Thanksgiving and then made an ill-advised 7 hour drive to Durango to ride the Polar Express Train. It was a lot of time spent in a minivan driving over mountains (and during my first trimester too), but riding the train with my nephew was a total blast. 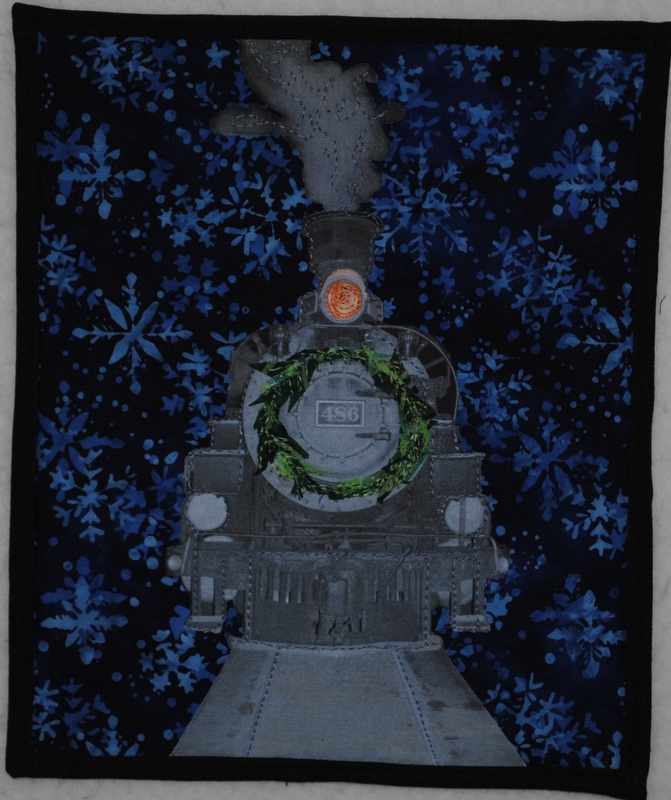 This is a photo of the train, printed onto fabric, cut out and fused onto the background. I made the wreath by putting fusible on the back of a few small pieces of different green fabrics, slashing them to bits and then arranging them into a wreath.